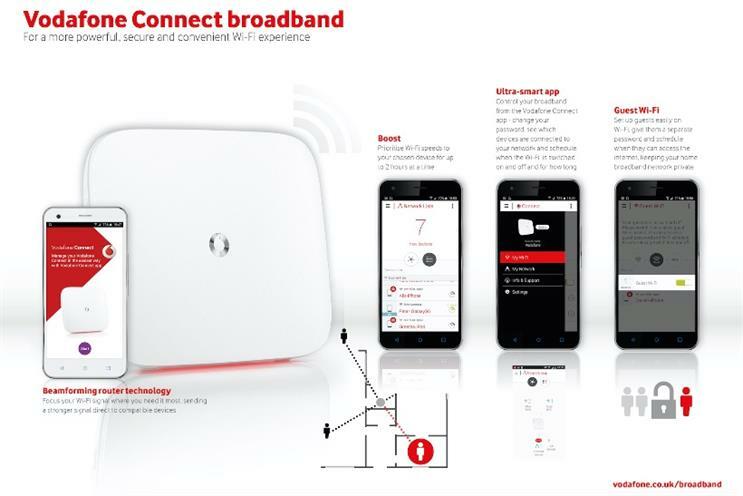 Vodafone has today (10 June) rolled out the offer of broadband and landline services to UK consumers, introducing packages with speeds of up to 76MBPS, a Vodafone Connect router and mobile app that controls a home's wireless network. 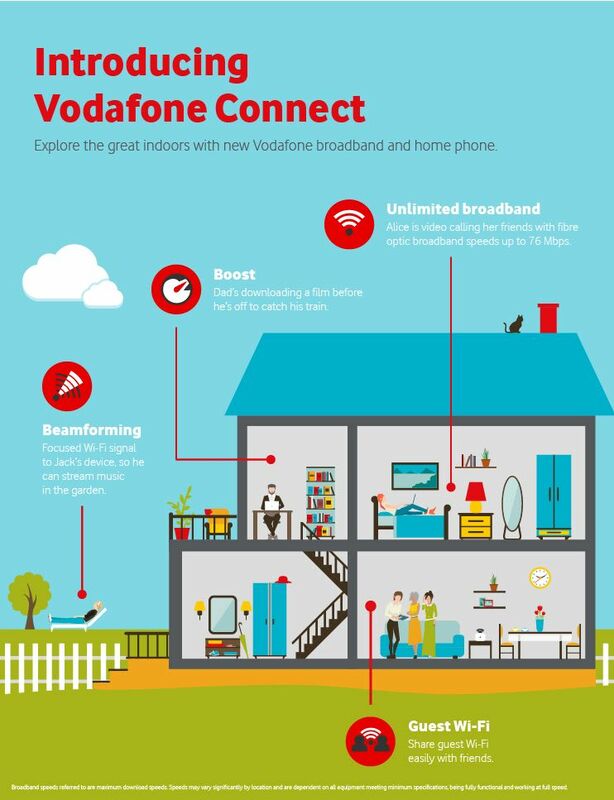 Consumers will be able to sign up to Vodafone Connect from today, with the services available to homes in Manchester and parts of Surrey, Berkshire and Hampshire; while it will roll out elsewhere later this summer. The mobile operator - which said this move kicks off its ambitions to become a "leading communications and entertainment service provider" - is hoping to steal customers of rival telecoms and broadband providers such as BT, Talk Talk, Sky and Virgin Media, highlighting its ‘easy switching’ service to provide customers with "hassle-free" set-ups. Vodafone Connect, which will create 400 new jobs in the South East of England, and Glasgow, will use Vodafone’s nationwide fibre optic network, which it said passes nearly 20 million premises across the UK, with that figure increasing to 22 million later in the summer. 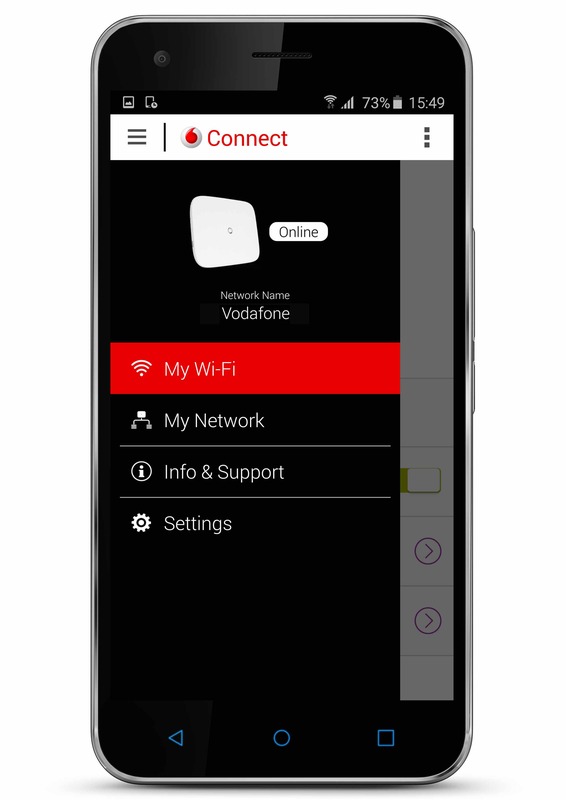 The Vodafone Connect companion app will connect with a user’s router, allowing them to control which devices in the home receive signal boosts through a Boost feature, while also granting them parental control by a facility to stipulate times of day that Wi-Fi is available to specific devices. The packages will span Ultrafast Fibre Broadband (up to 76MBPS), Superfast Fibre Broadband (up to 38MBPS), or Broadband ADSL (up to 17 MBPS). A loyalty scheme for existing Vodafone customers will give new Connect customers £5-a-month off their standard broadband price for the first 12 months. Jeroen Hoencamp,Vodafone UK’s chief executive, said: "This is a really exciting move for Vodafone in the UK as we move our business into a new phase. We’re looking forward to bringing our consumer customers the benefits of our experience in providing fixed and mobile services, both here in the UK and elsewhere around the world. "Our significant investment is creating hundreds of new jobs over the next couple of years. We are looking forward to the year ahead, including our move into offering TV services, as one which will prove to be a step-change in our customers’ lives."